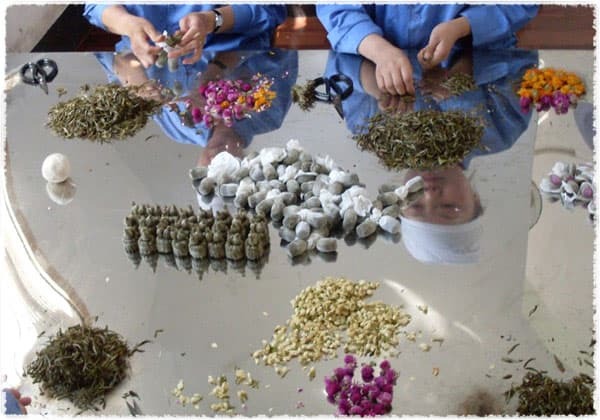 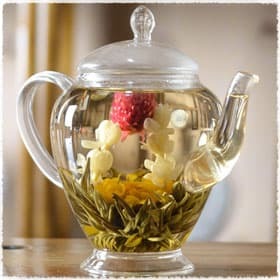 Delicately shaped like a ball, this tea is 100% handmade. 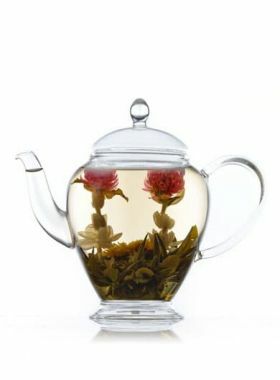 Inside the ball is globe amaranth, Jasmine flower, marigold, covered by well-chosen Maofeng green tea. 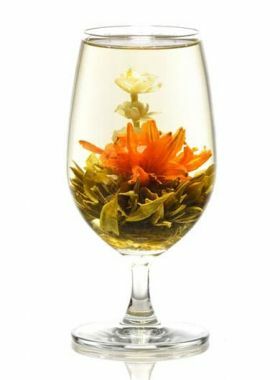 Each of them is elaborately designed to make them can unfurl into a beautiful, attractive flower like a slim and graceful girl when brewed. 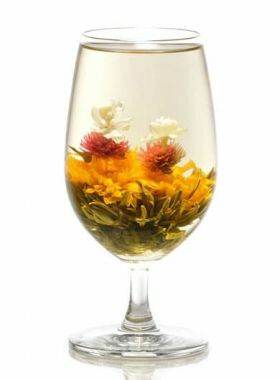 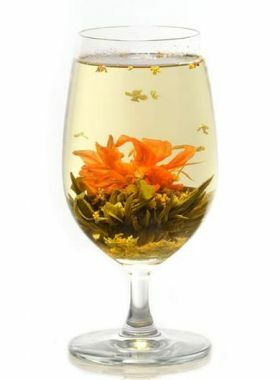 A bigger and transparent glass tea cup or teapot is needed, if you want to enjoy the scene of this tea ball bursting into bloom in a glass.